Building design extends beyond daylighting opportunities. 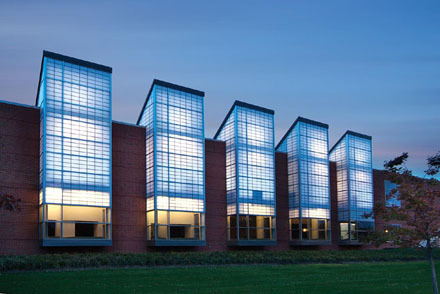 Various colored translucent panels offer stunning nighttime visual effects. This outstanding design located on Daniel Island, South Carolina was created by Thomas & Denzinger Architects.